Will you marry me… AND my love for Pepsi? Before popping the question, consider how compatible you are with that special someone. Think: similar backgrounds, values, or religion. 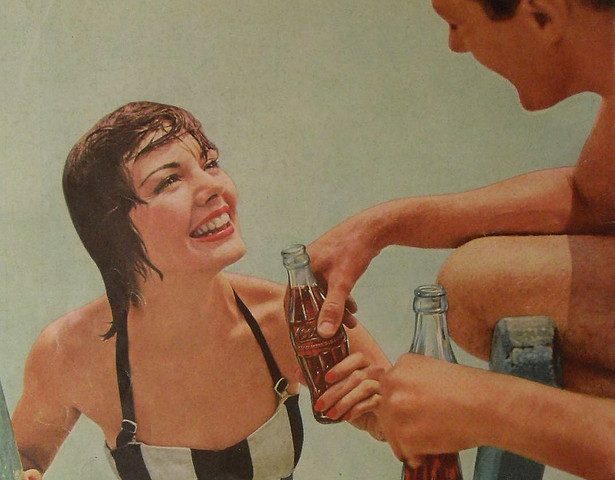 But Coke over Pepsi – deal-breaker? Researchers from Duke University examined how brand preferences affect relationships. They had hundreds of couples list which brands they prefer. From coffee and beer, to cars, and junk food like chocolate and soda. The participants were also told to rank their happiness and sense of power within the relationship. Results? Like personalities and backgrounds, preferring the same brand can be important for relationship happiness. It’s especially important to the person with less power in the partnership. Why is that? Researchers think having less power in relationships means less say in things you buy. Leaving you stuck with brands your PARTNER prefers instead of what YOU like. Finding only Coca-cola around the house instead of Pepsi may not break a relationship. But it can sure cause friction between couples down the road. Time to update that E-Harmony profile! Must love dogs… oh, and Pepsi!